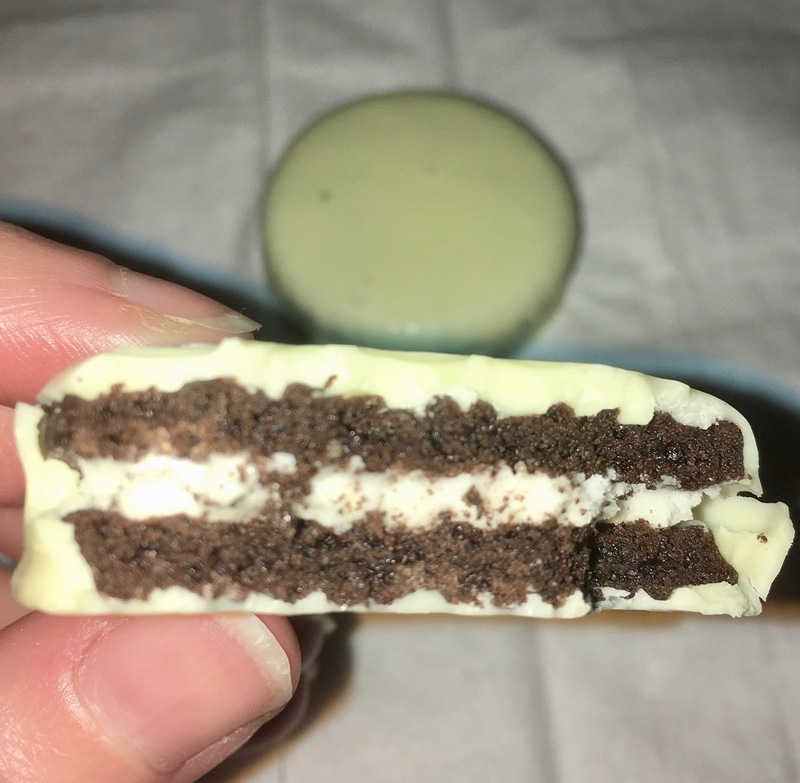 One of my favourite biscuits are Oreo Dipped, ideally in white chocolate. They are essentially what the name implies, Oreos coated in an extra layer of chocolate. As much as I love these biscuits finding them has become a bit of a challenge. They seem to be seasonal as they are more commonly available in Winter months, and are only briefly stocked in the supermarkets, often over Christmas. Import shops sometime have them straight from America, but some of the prices have made me pause. 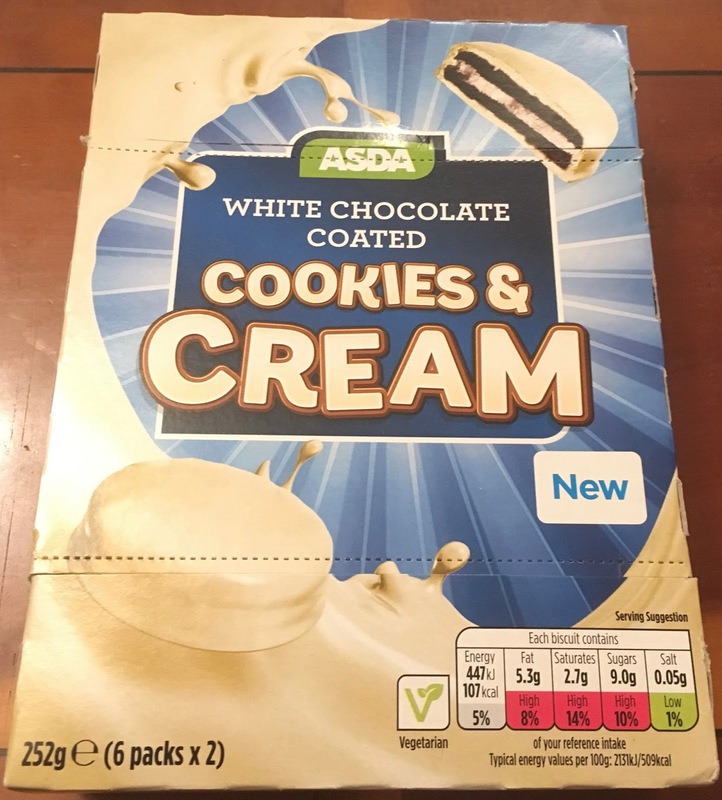 I was alerted to these new White Chocolate Coated Cookies and Cream biscuits from a friend who said Asda might be selling something similar, so I had to pick these up. The White Chocolate Coated Cookies and Cream are packaged in a smart blue box. Inside the box are twin packs of the biscuits in foil, which make them perfect for a lunch box as a treat. The biscuits are a dark biscuit dipped in white chocolate, and you can just about see the darkness through the white shell. While I was holding it in my hand to take a picture, and of course during eating, I noticed that the coating was a little sticky. It has a much lower melting point than my usual Dipped Oreos. 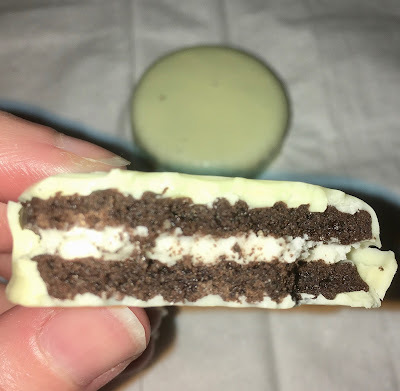 The biscuit was different in texture too, it was much drier and crispier, but the dark flavour was there and the white chocolate coating brought the flavours together. These biscuits are almost spot in, there are some differences in the texture, but the flavour contains that lovely mix of dark cocoa and creamy white chocolate which is really what has me hooked. I think Oreos have the edge, but as these are so much easier to find in the UK they are a happy replacement until the next time the Dipped Oreos get stocked.